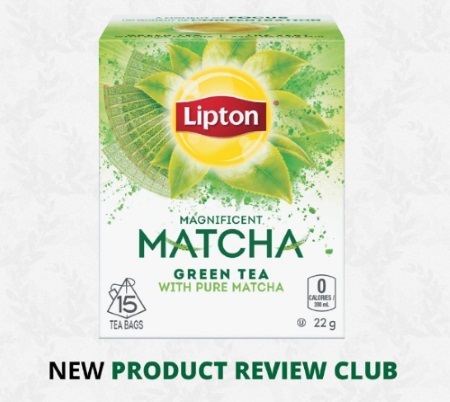 Chickadvisor has a new Product Review Club for Lipton Tea! 100 Canadian Product Review Club members will cozy up and try a hot cup of delicious Lipton Tea! If you are chosen you will get to try out: Lipton Green Tea in Matcha Original, Lipton Green Tea in Matcha with Ginger and Lipton Green Tea in Mandarin Orange. You have until January 17, 2017 to apply. Selected members will be contacted by email later that week. Remember to add "PRC@ChickAdvisor.com" to your email address book to ensure that you receive all future communications. For extra consideration make sure you spread the word on social media and remember to include #tryLiptonTea when you post on Twitter, Instagram and Facebook.